Welcome to the Detective Nicholas Pearce Blog! They wear a facade, like the false building fronts of a Hollywood set, never allowing anyone to see the true ugliness inside. BTK was a church deacon; John Wayne Gacy entertained children as a clown, and Ted Bundy worked at a suicide hotline. The danger remains hidden in plain sight; they are the frayed wiring behind the walls, the worn O-ring on the space shuttle, the total stranger in your family. They walk amongst us daily, and we never suspect. - excerpt from "The Killer's Handbook"
When I first saw the Blue Ink Review for "The Killer's Handbook,", my first thought was, "Ah, man...only one star?" Turns out they only give a star for a book that stands out in its genre. I went through ten pages of book reviews and only found four starred reviews! So, needless to say, I am quite happy. I have posted the review below. 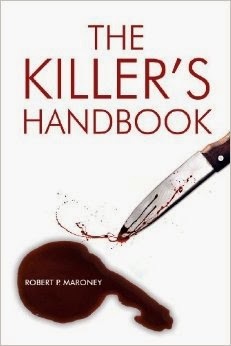 Book Review: Blue Ink Review of The Killer's Handbook! Is it wrong to say a book is delightful if it’s called The Killer’s Handbook? Because that’s what Robert P. Maroney’s second mystery novel is, from the first unsettling pages to the unpredictable ending. In the latest installment of his Detective Nicholas Pearce series, Maroney puts the officially retired investigator on a bizarre new case that not only puts him on the trail of several abductions and murders, but also directly into the mind of a killer. That, oddly, is the delightful part. It turns out that a killer’s mind is not as simple as you might expect. In fact, it’s quite complicated and highly engaging. While Maroney and his partner-with-benefits Addie use page-turning, but conventional, detective work to track down the killers who are dumping girls’ bodies in the river, there’s someone else working this case. It’s a man known only by his online handle—Reaper—and he’s written a killer’s handbook. Maroney expertly explores Reaper’s possible role in the murders, engaging us in the twists of Reaper’s mind, and making us wonder about his motives and how far he’ll go to achieve them. It’s a mystery for the Internet age, where clues like tire tracks and footprints are convincingly replaced by chat room transcripts and trails of IP addresses. Maroney is equally at home with high-stakes suspense scenes that will have you holding your breath, and the complex logic puzzles necessary to solve the mystery. Add in affectionate banter, a very believable Louisville, Kentucky setting and an aging detective’s inner musings, and you have a well-balanced novel as well as a riveting mystery. Readers will look forward to Nicholas Pearce’s next case. In this second book in the series, retired detective Nicholas Pearce is struggling to return after recovering from a near-fatal knife attack. Although the problem is more mental than physical, the choice is made for him as he finds himself thrust into two perplexing cases. Two young college girls, abducted in Louisville, Kentucky, are discovered floating in the Kanawha River near Montgomery, West Virginia. The next day, another girl is abducted, but this one is from the local area. 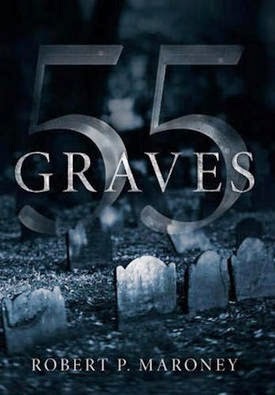 Nick and FBI Agent Addie Curtis team up once again trying to save a life and find the killer before time runs out. During the investigation, Nick discovers a serial killer, known only as Reaper, who is bragging about his murders online. Pedophiles are being targeted in several states, but no one is connecting the murders, and even Nick is skeptical that Reaper’s claims are genuine. But when Reaper authors an online murder manual, titled, The Killer’s Handbook, Nick realizes it has gone too far. People are using the handbook to kill and Reaper is quickly becoming an underground Internet sensation. Nick knows he must be stopped, but how? Filled with interesting characters, absorbing dialogue, and disturbing events, The Killer’s Handbook will keep you guessing until the very end. A family has been brutally murdered leaving only their young daughter alive. Two days later another family is also slain, leaving their teenage son unharmed. While most investigators agree the attacks are random, Detective Nicholas Pearce feels they are connected and deliberately planned. As he searches for the truth, he discovers a sinister and vicious group of killers who will destroy anyone who threatens to expose them.